Click here for a short video to save you thousands in property tax. Shannon & Snyder is a full service tax and accounting firm in the San Jose area. This website exists to provide clients and potential clients with information concerning our firm and our unique, low-pressure approach to personal and professional services. We have an excellent client-retention rate, and we are extremely proud of the high-quality services that our firm provides. 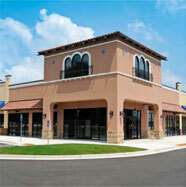 We are also commercial property tax appeal experts servicing all of California. Why pay more in property tax than you should? Click here for more info or contact us to get the process started. We also have an informative 5 minute video that will answer many of your commercial property tax appeal process questions here. No Tax Savings = No Fee. While we offer commercial property tax appeal service throughout California, if you own commercial property in one of the following California counties and still have a high vacancy rates, low rents, or just feel you are paying too much in taxes – you really need to speak to us. Our appeal services have saved property owners thousands in taxes in these areas. NO savings = NO fee! Call us to get your FREE tax assessment started now. The appeal deadline is approaching quickly!